Recent SRIA research projects include reinforcement bond tests and an extensive testing program for Class L mesh slabs. This important research aims to brings the latest information and design requirements to practitioners. The SRIA commissioned Class L mesh slab tests by Curtin University in order to provide an independent evaluation of the degree of safety of the use of Class L reinforcement mesh in suspended slabs in comparison to AS 3600 design. The results will provide significant technical information supporting this market application. The final report is now being reviewed by the Peer Review Panel (PRP) comprising eminent academic and leading consulting engineers from around Australia. Once reviewed the SRIA will publish this independent research and establish Technical Notes to educate the market. 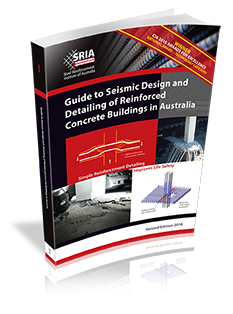 A supplementary joint Curtin/SRIA report on the test strengths versus AS 3600 design strength of Class L reinforcement in suspended slabs will indicate the degree of safety of each design. Once the Curtin and supplementary report is published, the SRIA will offer in-house seminars to leading engineering consultants and construction firms on how and when Class L mesh may be used in suspended slabs and information on bar splicing based on a new SRIA Technical Note 7. Other research projects have included: Fire resistance of Blade columns at BRANZ. Seismic performance of precast concrete structures at the University of Melbourne. Performance of reinforced concrete frames with masonry infill panels at the University of Adelaide.